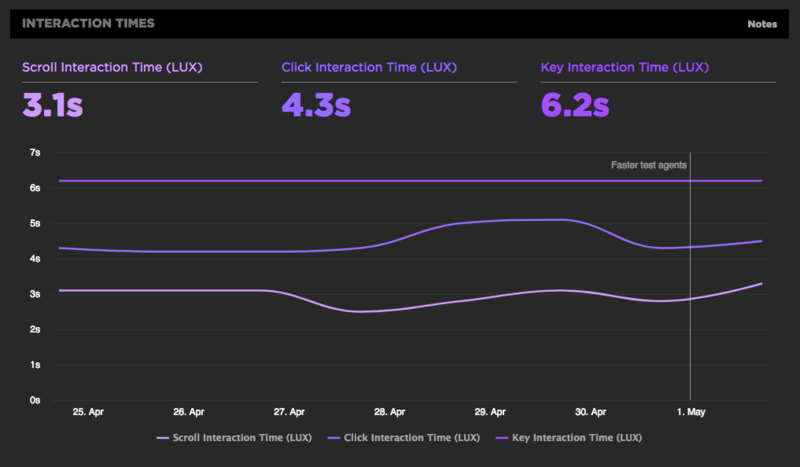 Click through each link to explore each dashboard in our live interactive LUX demo. Constantly updates to show the users who are currently visiting your site. 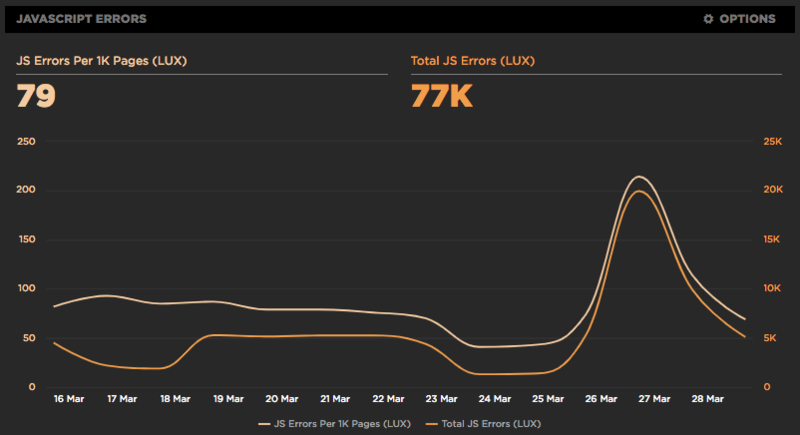 As its name suggests, the Users dashboard gives you information about your users, including page views broken out by type of user interaction. 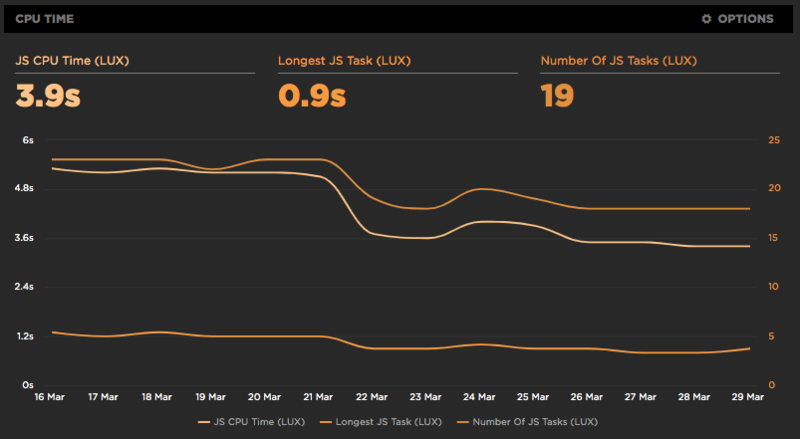 It also shows the top pages, browsers, viewports, cities, and countries across all your users. This information is really useful for designing more accurate synthetic tests. time to first user interaction (often the best reflection of the user's experience). Long tasks make pages feel janky. 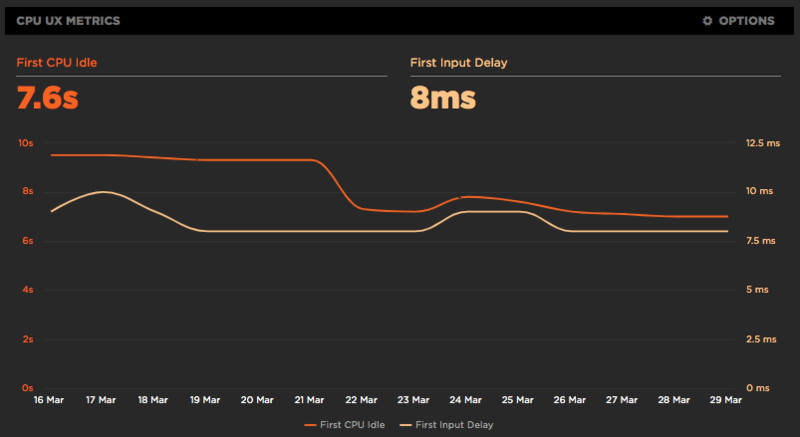 That's why we also capture two metrics that capture jankiness: First Input Delay and First CPU Idle. show device types and browsers.